Happy St. Patrick’s Day! I’m celebrating by releasing Book 2 in my Men of Steele series, Blind Ambition. The cover is even green (you just have to look past the muscles). 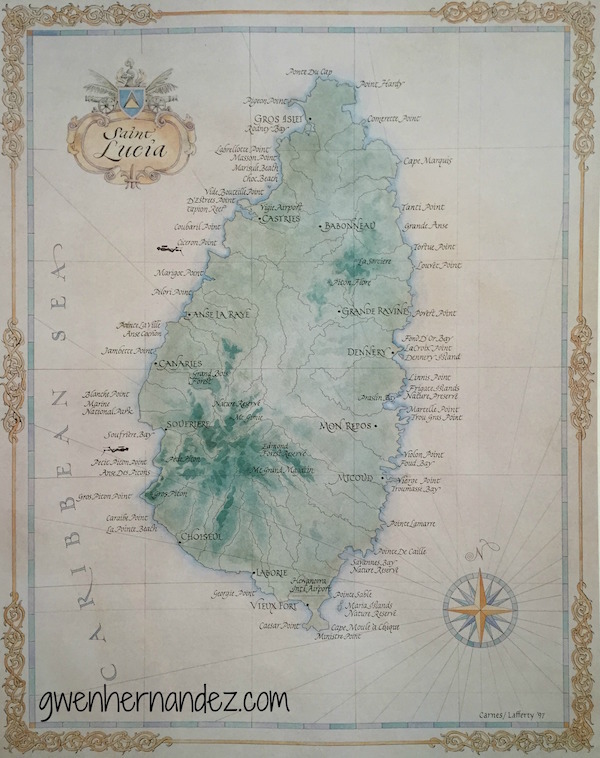 Actually, the reason there’s a green jungle in the background is because the book takes place on the fictional island of St. Isidore, which is loosely based on St. Lucia. St. Iz has dangerous rebels running around kidnapping aid workers—like my heroine, Alexa—and generally terrorizing people. Luckily, St. Lucia does not. 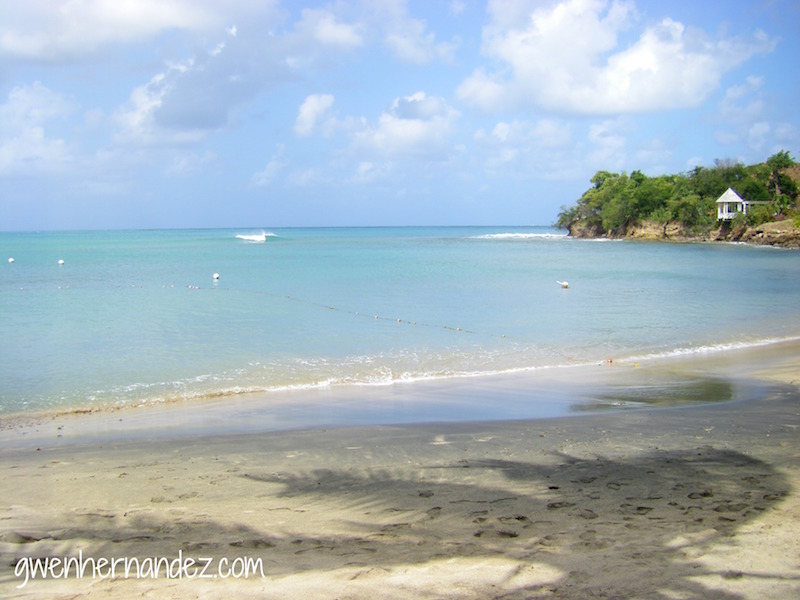 For writing inspiration, I used several photos I took on a family vacation to St. Lucia back in 2008. 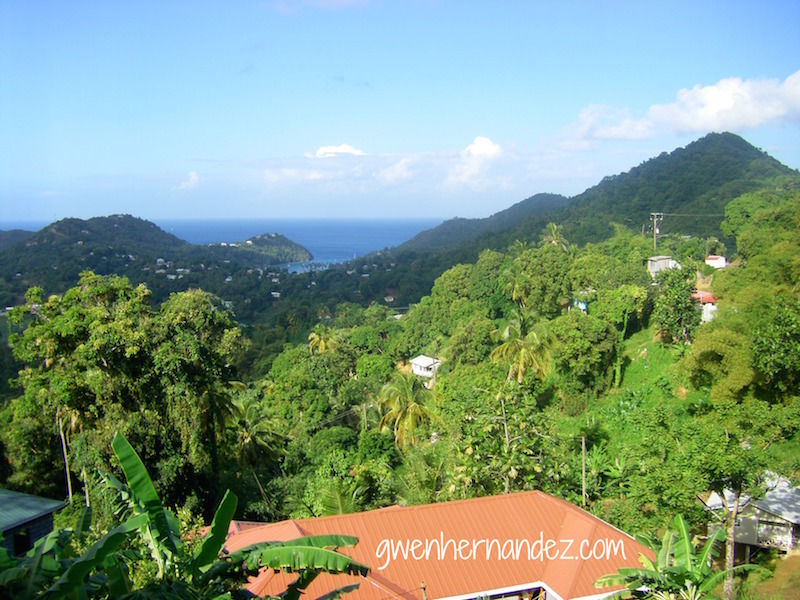 It was our first visit to the Caribbean and I wanted the quintessential lush mountain paradise. We got it. When I started writing in 2009, I knew I wanted to set a book on an island like St. Lucia, but it has taken me a while to make it work. I had a lot of fun with this one, and I hope you adore Dan and Alexa as much I do. By the way, I’m over at Kiss & Thrill today talking about different types of kisses (in honor of “Kiss me, I’m Irish”). Stop by and share your favorite type of book/movie kiss for a chance to win a copy of Blind Ambition. Happy Release Day! And Happy St. Patrick’s Day! It’s a wonderful book, Gwen! congratulations! Congrats, Gwen! Enjoy celebrating today! Congratulations! I read the first chap. on Amazon last night! Wow! You have turned up the volume. You put some serious Gwen energy into it. Some kind of intense. You were not at a distance describing the scene. You were square in the middle of it. I think when a writer emotionally, relationally participates, the writing goes to a new level. It was late, as in 2:00 AM late when I read it. I planned to skim it and come back today. You ruined my plan. As soon as I had the image in mind I had to stay to see what happened. Excellent! I’m glad you won’t be skipping ahead, Curtis, because spoilers. 😉 I figured you meant smidge. That’s what editors are for, right? Thanks for stopping by K&T. I’ll pop over there now. Congrats I’m so excited for your new “book baby”. Can’t wait to read it. Good luck with your book. Must be a relief to finally get it released.